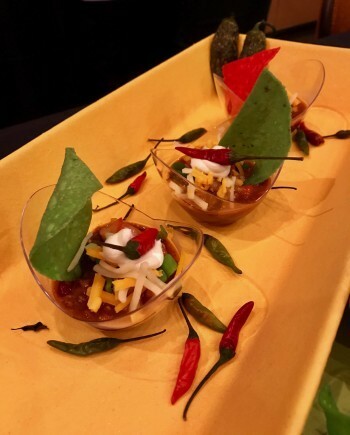 We recently savored a scrumptious chili tasting at Pechanga Resort & Casino. 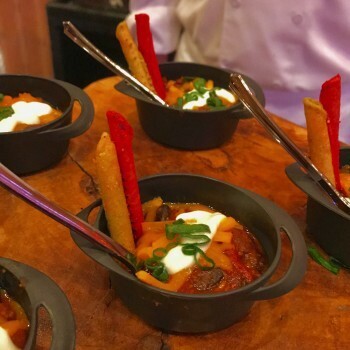 This was a prelude to Pechanga’s Annual Microbrew and Chili Cook-off which happens on Saturday, June 10, from 1 p.m. to 5 p.m. That’s when Pechanga’s talented, award-winning chefs pair their own special chili concoctions with more than 100 micro and craft beers from all over the country. Live music features Safety Orange and Black Crystal Wolf Kids. And you can enjoy all this knowing that your ticket purchase benefits Habitat for Humanity’s Inland Valley programs. Attendees at the cook-off get to vote on the best chili. 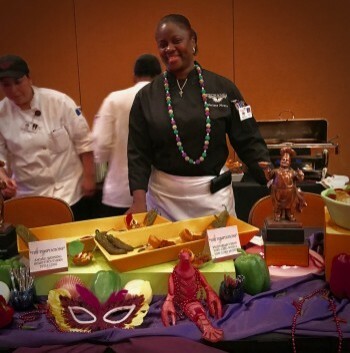 For the last two years, Chef Marlene Moore from Pechanga’s Food Court has been the champion with her famous Temptation Chili. She is shooting for victory again but so are her fellow chefs from the other Pechanga restaurants. General admission tickets are $50 and each guest will receive a two-ounce souvenir glass for sampling beer. VIP tickets are $65 and allow pass holders to come an hour earlier to the festival. Designated driver tickets are also available for $30. For tickets or more information, visit www.pechanga.com or call 877-711-2946. 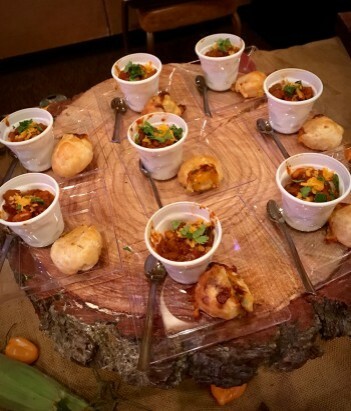 Since we are chili lovers, we were in 7th heaven sampling the unique chilis created by the Pechanga chefs. Here is a list of the fabulous chili preparations we sampled from each restaurant, along with our reactions. These chili dishes (perhaps with some alterations) will be available for tasting at the Chili Cook-off June 10th. Pechanga Buffet: We loved this all-buffalo chili which was tender and spicy, but we really relished the accompanying biscuits stuffed with jalapeno and smoked cheddar. Pechanga Café: Here was another savory buffalo chili, but it was ground with Italian sausage and bacon. (Of course, you can never go wrong with bacon.) Two sauces were on the side for optional added zing—a red chili sauce and a yellow salsa. Great Oak Steakhouse: One of our favorites, this delicious chili focused on juicy steak with roasted Pasilla peppers and cilantro. Catering and Banquets: This department created a classical Texas-style Chili Con Carne featuring flavorful house-made grilled sausage. This is sure to be a crowd pleaser. Umi Sushi & Oyster Bar: How does an Asian restaurant create a chili recipe? With high end Kobe beef of course. Then they added black and red beans and fried shallots and served it all with green bean snack chips. The meat melted in our mouths and was so tender. This chili just might be the winner this year. 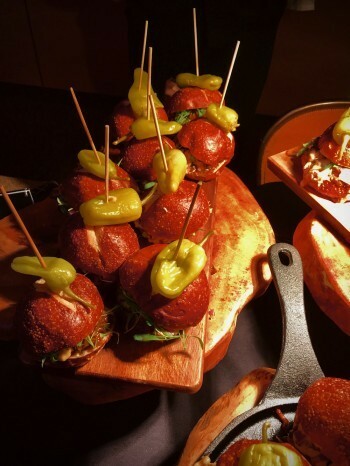 Kelsey’s: These smoked brisket sliders were a delicious new twist on the chili cook-off. Aged sharp cheddar and a sweet, tangy brisket sauce accented the flavorful brisket. Food Court: Chef Marlene Moore served her award-winning Temptation Southern-style chili again (and we could totally understand why it was a winner), but she is also experimenting with a unique vegetarian tofu chili, which was wonderful, proving without a doubt that chili is not just for meat lovers. Will she win again? You’ll have to attend to find out. Journey’s End: This tasty beer-braised steak chili with kielbasa is sure to be a perfect match for the micobrews being served at the cook-off. Paisano’s: What does Brazillian chili with beans taste like? Spicy with deep, rich flavors. The fried yucca really set off this dish. Blends: Smoked jack fruit chili was surprising and delectable, especially when served with cornbread waffles. Blazing Noodles: Spicy turkey chili was another favorite of ours and the Asian touch of wonton chips was unique, distinctive touch.